Sleeping up to six people, this spacious cottage is ideal for small groups or families and features high-quality amenities. 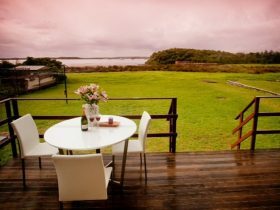 Relax on the deck, do a spot of bird watching or gaze across Port Hacking and enjoy the peaceful surroundings. From here you can walk a leg of The Coast track, try walking tracks to Winifred Falls or Uloola Falls, or why not cycle the historic carriage route of Lady Carrington Drive. Visit in spring to immerse yourself in wildflowers, including the area’s Gymea lillies. Summer is prime time for a refreshing dip in the park’s waterways and beaches. Bedding configuration is two queen bedrooms and two single beds in the third bedroom. 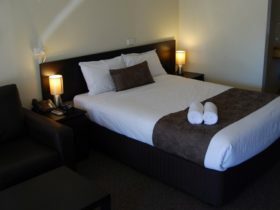 All bed linen and towels are provided. The cottage has a fully furnished living room, kitchen facilities with dishwasher and a bathroom. 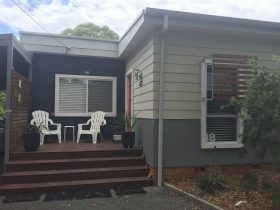 The cottage has a television, Blu-Ray/DVD player, washing machine, dryer, iron, ironing board and a gas barbecue. There is mobile phone service. 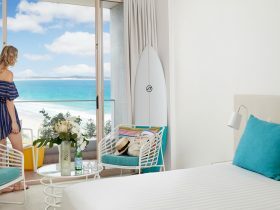 Three night minimum stay during long weekends and school holidays. 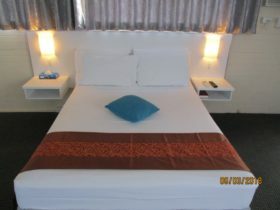 Two night minimum stay throughout the rest of the year. All reservations incur a booking fee of 2.5% in addition to the total amount payable.